Cut the Braum’s large brownie square into individual triangles. Decorate the brownies with the frosting. 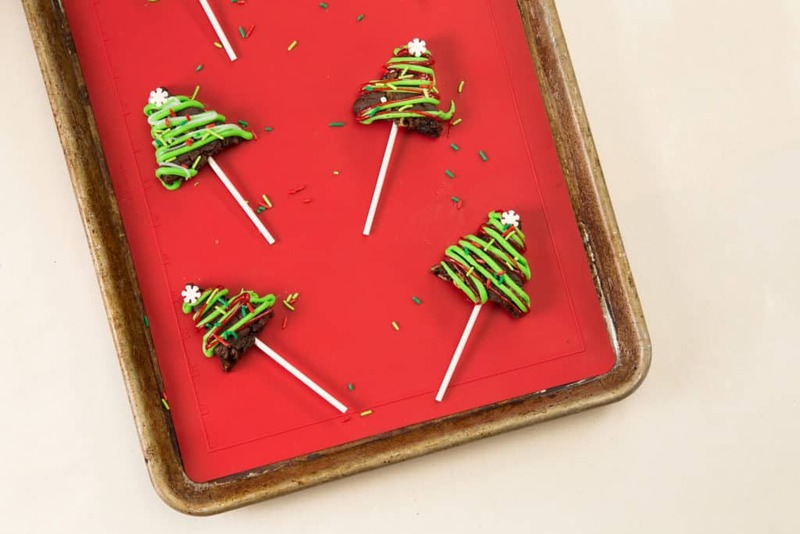 Break the peppermint sticks in half and insert into the bottom of the brownies.